Tournament favourite Ronnie O'Sullivan survived an unexpected scare before continuing the defence of his UK Championship title in York. 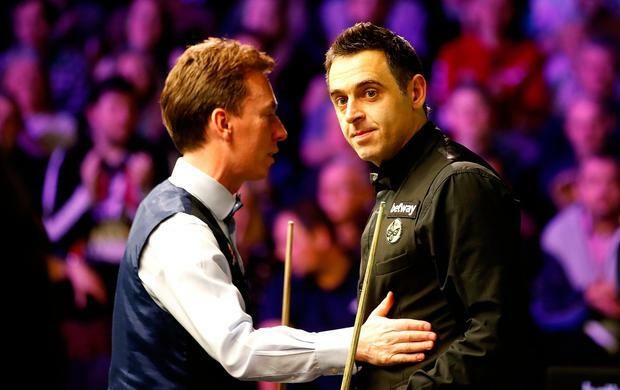 O'Sullivan was 3-0 and 4-1 down to Ken Doherty in their second-round clash at the Barbican, before recovering to win 6-5 in an 11th-frame decider. While Doherty is a former world champion, he is on the Tour courtesy of a two-year invitation from World Snooker, so a win over O'Sullivan - who remains the game's best player - would have been a huge shock. Jim White When it comes to breaking a record, no one does it with more style than Ronnie O'Sullivan. Not for him the easy, the straightforward, the trouble-free.